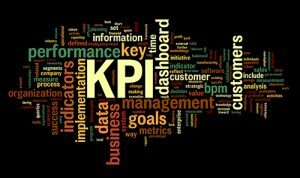 What is the difference between a KPI and a metric? Although the term metric is often used interchangeably with the term key performance indicator, they are not the same thing. A metric is a quantifiable measurement for a specific duration, and a KPI is a metric that you use to accomplish certain goals. Key performance indicators are intended to measure success. While all KPIs are metrics, all metrics are not KPIs. 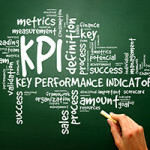 Meaningful KPI’s are reliable and depend on accurate sources of data for input. However they also evolve as the business grows, and should be driven out of key operational or improvement objectives. Once you have established the objectives that align with the strategic direction and improvement goals of the organization, you can define metrics and measures. Many prefer to just choose a few KPIs (3 or 4) to focus on. KPIs need to be actionable. 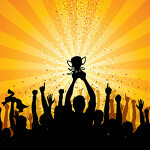 In the absence of automation, what can your team accomplish? Take all your invoices every month and divide them by your AP FTE’s. Next determine who will complete which steps. 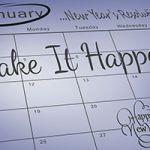 Is everyone completing the same volume of work? What is the optimal throughput? If invoice volume increases by 10% do you increase your team size by 10% too? The industry standard is 750-800 invoices per FTE per month. By automating SAP transactions using Winshuttle Studio, you could see throughput improve considerably. How much do you spend on processing and invoicing? This includes the cost of receiving, processing, and approving the invoice with the vendor. This process has several touch points, and the cost includes direct costs and opportunity costs such as the paper push for approvals, check processing and mailing costs, copying, printing, filing and storing. Consider the missed discounts, late fees and duplicate payment issues. Think about fraud, errors, and rework. When you house Excel or form-based data in a Winshuttle Foundation environment, you can reduce your reliance on paper, and eliminate paper-based approvals. You can also increase transaction processing volumes while keeping headcount. How long does it take a payment request to process? Best in class do it in 5 – 6 days, while the majority take 10 – 11 days. The worst performers (30%) take 24 – 25 days according to the Aberdeen Group’s study ePayables 2011: Efficiency, Visibility and Collaboration the Financial Supply Chain. Where do you fall? According to the Aberdeen Group 2012 AP Invoice Management in a Networked Economy study, the top 30% have a 90% capture rate for early settlement discounts, while the bulk capture less than half ranging in 18% at the bottom to 47% at the top. Using Winshuttle Studio or Winshuttle Journey Entry for Excel with approval workflows in Winshuttle Foundation accelerates your processing speed because you don’t have to run cumbersome integration processes or manually transcribe data. With an average person indexing errors between 20% – 40% through manual entry, how do you get this inefficiency factor down? Errors arise through coding, missing important items, signoffs, splitting and double processing. According to APQC research, the need for manual intervention is the main culprit consuming nearly 62% of total AP costs. Applying the four or six eyes principle is crucial because more people can review and approve content. However this is best done with an automated workflow using something like Winshuttle Foundation. You can use workflows wrapped around Composer forms or Excel spreadsheet templates filled with data. Addressing issues like master data records early in the accounting cycle can save you in the long run using the 1:10:100 rule. This is often seen as one of the most important metrics for purchase-to-pay. Invoices are typically grouped into two types: purchase order based invoices, and invoices without a purchase order. With the former, you need to baseline your volume trend to understand whether the match rate is stable or improving. You can also decide what types of purchase orders you want to track as a metric – you may think you want zero PO-less supplier invoices. When calculating the matching KPI, you might look at the percentage of invoices that pass straight through the purchase-to-pay system without delay or manual intervention. A high first-time match rate will often feed into other areas. This can potentially result in better productivity, lower costs per invoice, and a greater number of invoices paid on time. While Winshuttle isn’t really a PO matching solution, many customers use Winshuttle for the last mile of integration on the three way and statement matching processes.